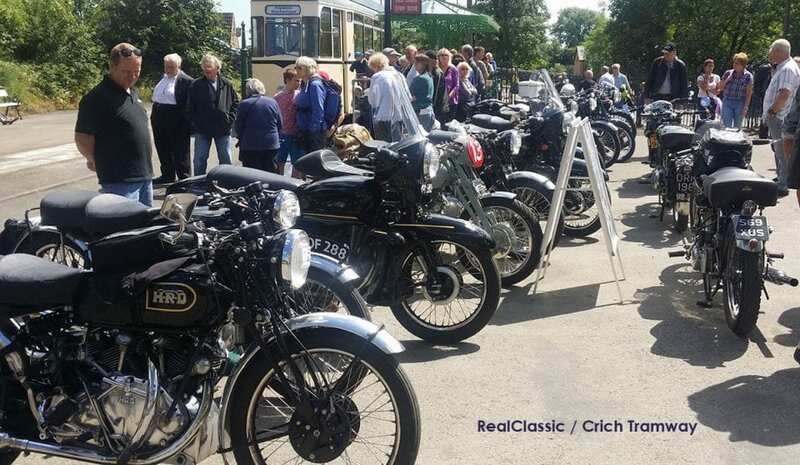 Some 1500 visitors made the most of the summer sunshine at Crich Tramway Village in July, when it hosted a Classic Motorcycle Day in conjunction with the Vincent Owners’ Club. 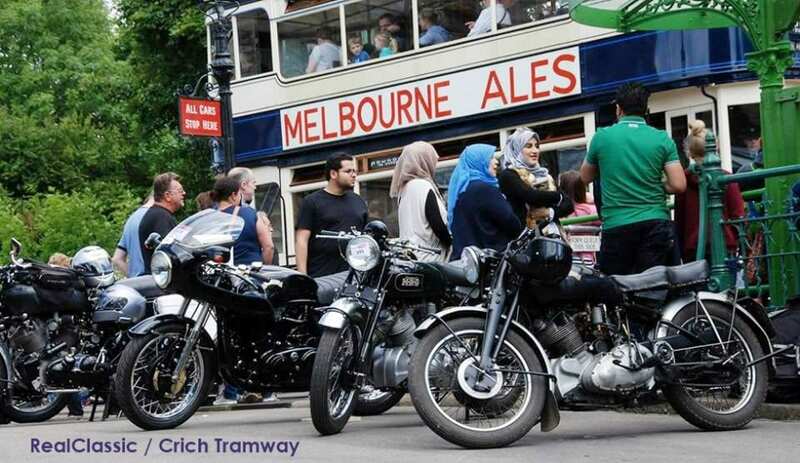 Over 300 British and international classic bikes were displayed, creating an extra special atmosphere as the old bikes mingled with vintage trams in this unique location. 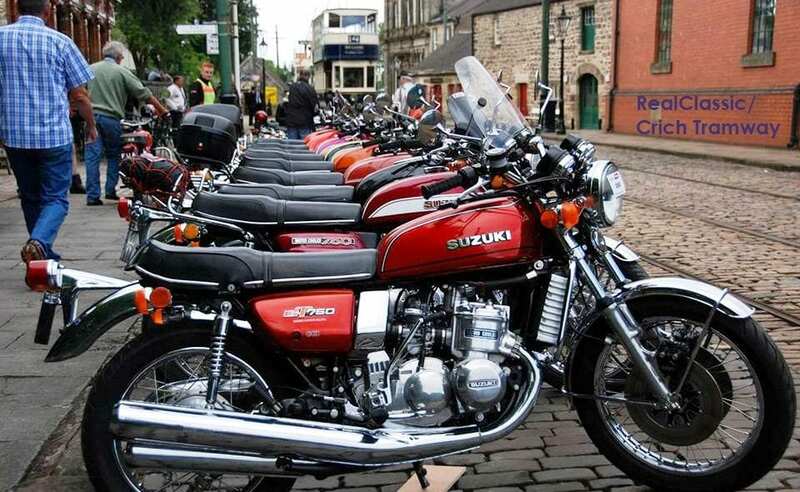 The displays featured bikes from the vintage era right through to the 1990s, and trophies were sponsored by the local firm, Derwent Waste Management. 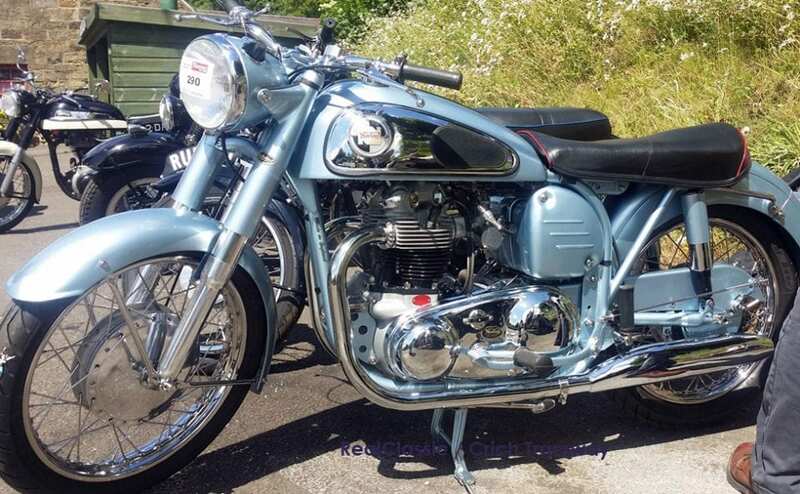 Best In Show was voted for by the public, and went to Terry Crofts for his stunning Norvin. 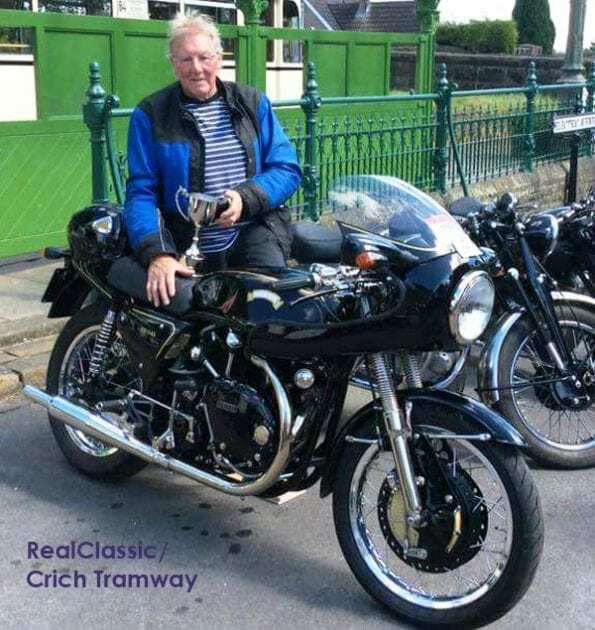 VMCC chairman, Rob Reaney, judged the other two awards, and gave the prize for the Best British Bike to John Williams for his immaculate Norton Dominator. 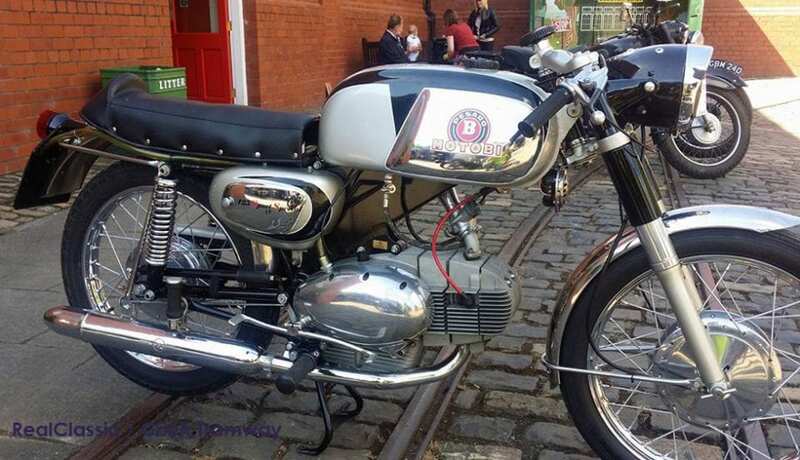 Clive Steemson took home the trophy for the Best International Bike, thanks to the stunning shine on his Motobi 125. 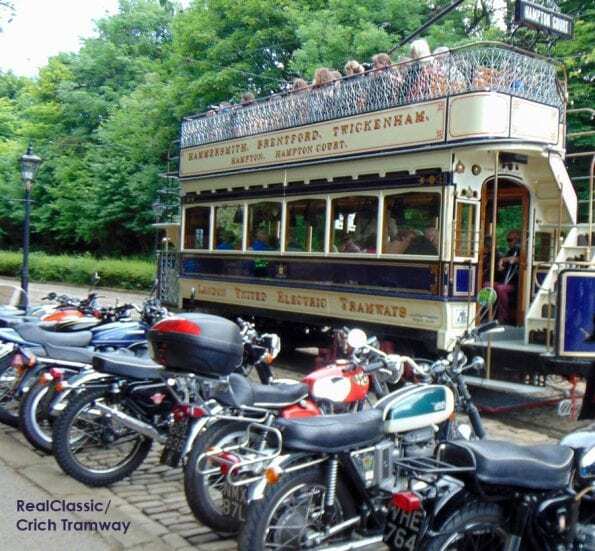 You may well be wondering what exactly Crich Tramway Village is when it’s at home – and it’s actually the home of the National Tramway Museum, situated in the spectacular Derwent Valley in Derbyshire. As well as static exhibits, vintage trams offer rides for all the family through the period street displays and out into the rolling countryside. 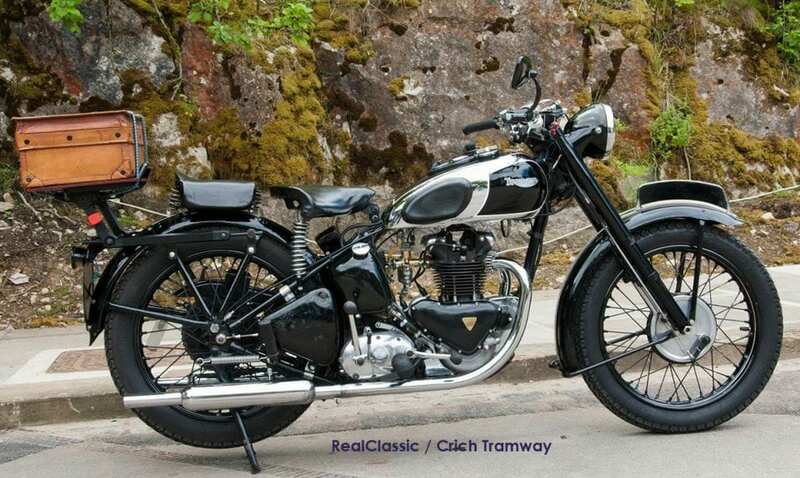 A brilliant day out in its own right, but just about perfick when you bundle some classic bikes into the mix. In fact it was such a great day out that although the North Lincs Velo Owners couldn’t make the date – they turned up a week later! Here’s a video which gives you an idea of what you missed.